Mellen, Smith & Pivoz, PLC – Michael A. Pivoz, CPA, J.D. 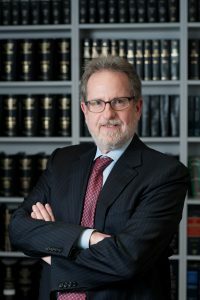 Michael A. Pivoz, CPA, J.D. Michael A. Pivoz joined Mellen, Smith & Pivoz PLC in 1974. Mike was admitted as a Member of the firm in 1979. He has a Bachelor’s of Science in Business Administration and majored in accounting. Mike also has a Juris Doctor from Wayne State University Law School. Mike provides extensive business services to clients in a wide range of industries and professions. His specific areas of expertise include tax, accounting, fraud, and forensics. Mike has assisted a variety of businesses and organizations, including: professional service companies. Such as, law firms, medical practices, consulting firms, etc. Mike is a member of the American Institute of CPAs, Michigan Association of CPAs, and American Bar Association Federal Tax Committee, American Association of Attorneys and CPAs and Forensic Accountants Society of North America. Accounting and auditing services including: financial statements, financial forecasts, cash flow analysis, projections and budgets, analysis and interpretation of financial information, personal financial statements, retirement plans, etc.